Grafton Regional Gallery is located at Prentice House. 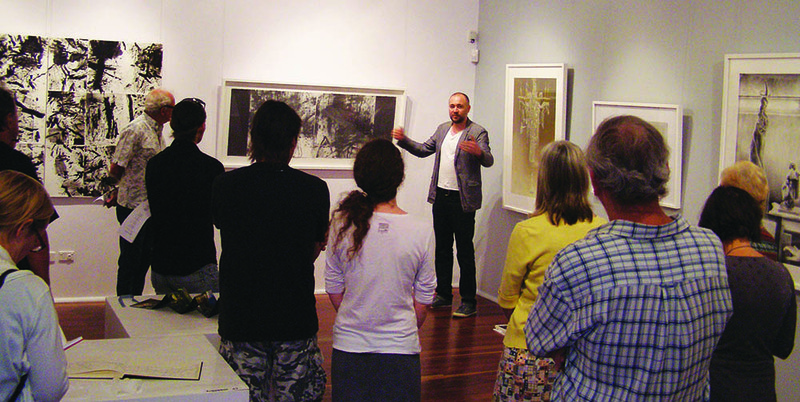 Miles Hall presenting as part of the Jacaranda Acquisitive Drawing Award 2012. 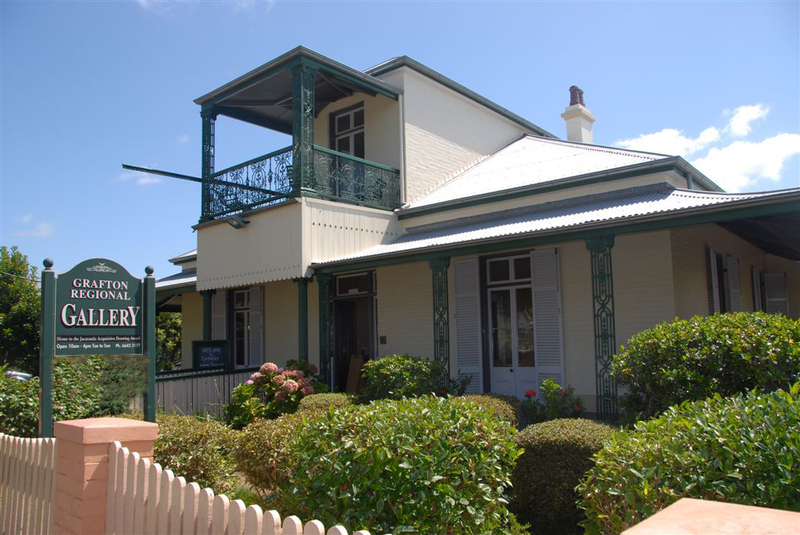 Grafton Regional Gallery is a major cultural service of the Clarence Valley Council with up to seven exhibitions on display at any one time. Each year over 42,000 visitors enjoy our gallery with its large shady courtyard, heritage gardens and buildings, café and modern exhibition areas. The gallery’s range of cultural services includes workshops, outdoor performance, meeting spaces and collection storage. It is the premier cultural centre of the Clarence Valley presenting a diverse range of activities throughout the year. The Grafton Regional Gallery holds the largest collection of artworks on the North Coast of NSW and continues to develop its vibrant collections. The Gallery presents over 40 exhibitions and 70 programs and events each year. It is an outstanding public gallery reflecting the passion for the visual arts held by the community of the Clarence Valley. One of the four main exhibition spaces occupies historic Prentice House, a beautiful example of Grafton’s many 19th century residences for which the city is celebrated. Built in 1880, Prentice House served as a surgery and residence until its conversion in 1986 to a gallery. The flagship of the gallery is the prestigious Jacaranda Acquisitive Drawing Award (JADA). Valued at over $30,000 the biennial award promotes contemporary Australian drawing. Ken Done AM is the gallery’s patron. Ken has many associations with the Clarence Valley having spent his childhood in Maclean. Grafton Regional Gallery celebrated 25 years of operation in 2013. Rosearia- a living, breathing art space. Welcome to Rosearia. We invite you to take time to make lasting memories and enjoy our unique atmosphere with featured and natural art. We are a fully licensed restaurant offering lunch and dinner. Inside and outside dining options are available depending on weather and availability. The Gallery Shop is open during gallery hours from10am to 4pm Tuesday-Sunday and is the perfect place for gifts with a difference! We showcase a fabulous collection of unique gifts by leading and emerging local and regional artists, beautiful cards and inspirational books. Recent additions include locally produced honey, jams and olive products from the region. Friends of the Gallery receive a 10% discount.